Hex bug Nano Storage Case. Holds 18 Nano bugs. Includes one rare Bug. 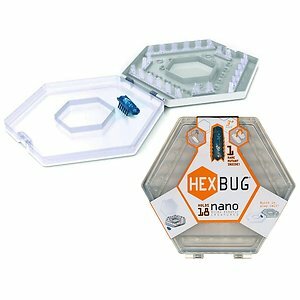 Hexbug Nano collectors case including one rare bug. Space to store up to 18 Hexbug Nano bugs with the sleek Hexbug Nano collectors Case. keeping scurrying Nano bugs contained most of the time.